We are delighted to introduce an exciting new partnership with Experiencesmith in Margaret River. Together we have created a choice of three incredible Margaret River itineraries, starting and finishing in Perth, that capture the true essence of this breathtaking coastal wine region. The tours feature Ultimate Winery Experiences at Leeuwin Estate, Vasse Felix and Voyager Estate. Transfer from Perth to Margaret River in your private car or plane where your Ultimate Winery Experience begins with freshly baked scones and an informative introduction to Leeuwin Estate where your host will provide an overview of the history of the region and Leeuwin Estate. Enjoy an escorted behind the scenes tour of the winemaking process, incorporating a visit to the Art Gallery to view the collection of contemporary Australian artworks commissioned for the famous Leeuwin Estate “Art Series” labels before returning to the al fresco area for a seated, tutored wine tasting of Wine and Food Flights. A transfer to Voyager Estate follows where a guided private tasting awaits. Voyager Estate’s Sommelier will host you in the intimate private room, ‘Michael’s Room, for your ultimate Chardonnay and Cabernet Sauvignon Tastings where you will taste Margaret River’s two signature wines. Then step into the restaurant and savor the finest Margaret River produce with a three course lunch, including ingredients sourced from local producers and produce picked from the kitchen’s herb garden, matched with museum wines. End your day with your private return transfer to Perth. 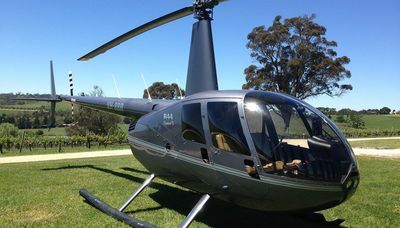 Transfer from Perth to Margaret River in your private car or plane. Guests travelling by plane will enjoy morning tea at Busselton Jetty, the longest in the Southern Hemisphere stretching 1.8 kilometres. Arrive at Vasse Felix for a tour of Margaret River’s founding wine estate. 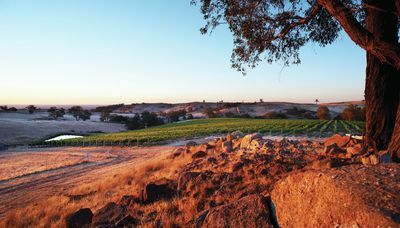 Walking through the region’s oldest vines, you’ll gain unique historical insights into winemaking in Margaret River and wine production at Vasse Felix, followed by a private tasting. A three course lunch in the Vasse Felix restaurant then awaits, paired perfectly with some of the region best wines. Finally select your choice of a bottle of Vasse Felix Premier wine to take away and share with family and friends. After Lunch your private guide will collect you to take you on a coastal journey to experience the raw beauty and nature of the Margaret River Region, completing a section of the Cape-to-Cape track. Leaving from Smiths Beach and traversing to Canal Rocks, guests will explore the magnificent coastline, rock pools, wildflowers wildlife, bush foods, and cultural history. Finish with a cheese board and watch the sunset over the Indian Ocean. Enjoy dinner and a well earned rest in your overnight accommodation at Cape Lodge, a Luxury Lodge of Australia. Following breakfast at Cape Lodge, your private guide will collect you from your hotel, stopping at the world-renowned Margaret River surf break and provide an opportunity to see some kangaroos along the way. Start your day at Voyager Estate with a Heroes of Margaret River Guided Tasting by a member of their knowledgeable team, within the spacious ambiance of the Wine Room. Then visit Leeuwin Estate where you will celebrate fine wine, food and the arts, with the most elegant way with the ‘Ultimate Wine and Food Experience’. Be welcomed with a glass of Brut and an overview of the history of the region, Leeuwin Estate, their world class Leeuwin Concert Series and the philosophy behind the winemaking. You will be escorted on a behind the scenes tour of the winemaking process, incorporating a visit to the Art Gallery to view the collection of contemporary Australian artworks commissioned for the famous Leeuwin Estate “Art Series” labels. You will then be seated for a tutored wine tasting of five Leeuwin Estate wines, each accompanied by perfectly matched food. Your experience will continue in the award winning restaurant where you will enjoy the range of five wines accompanied by a seasonal menu including house baked bread and olive oil, a choice of mains and desserts, a farm cheese and tea or coffee. Complete your Margaret River experience visiting local providores with your choice of locally produced chocolate, jams, olive oil or natural soaps. Alternatively you may choose to visit to a local master gold and silversmith, showcasing a stunning array of unique hand crafted jewellery, reflecting all the beauty and the drama of the Margaret River region. Your private chauffeur will be waiting at the airport to take you to your luxurious hotel for the evening, COMO The Treasury, 2016 Australian Gourmet Traveller Hotel of the Year. 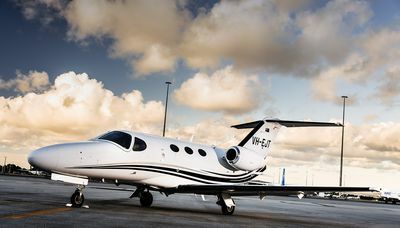 Transfer from Perth to Margaret River in your private car or plane. Your Margaret River experiences begins at in the spectacular Wine Room at Voyager Estate where you will be guided through a private tasting focusing on Margaret River’s signature wine, Cabernet Sauvignon Merlot. You will be taken through the current release vintages as well as cellared wines including the Tom Price range, rarely opened for tasting. The tasting also includes limited release single vineyard Cabernet Sauvignons from the Old Block and North Block, two outstanding vineyards that showcase specific characteristics of their soils - a must for those who love Cabernet Sauvignon Merlot and want to learn more about this blend. Lunch with then be served, taking you on a sensory journey that reveals the Estate’s story through six carefully matched wine and food courses. Each of the six dishes in the Discovery Menu represents part of the story of Voyager Estates grapes from the vines Beginnings through to the celebration that comes with enjoying finished wine. Your home for the next 3 nights will be Cape Lodge, a Luxury Lodge of Australia where you will enjoy dinner and breakfast daily. Explore the world of food and wine at Margaret River’s founding wine estate, Vasse Felix. Walking through the region’s oldest vines, you’ll gain unique insights into winemaking in Margaret River and wine production at Vasse Felix, followed by a tasting of the Vasse Felix wine collection. Next step into the world of food and wine matching, where you’ll discover more about Margaret River’s local produce, and the philosophies that guide the Vasse Felix chefs in their creation of dishes that complement the region’s wines. Enjoy the ultimate treat of the 5 course tasting menu, with matching wines. Finally select your choice of a bottle of Vasse Felix Premier wine to take away and share with your friends and family. After enjoying the Art Gallery, your host will introduce you to the philosophies of winemaking at Leeuwin Estate, incorporating a behind the scenes tour of the winery, before you will be invited to take part on hands-on red wine blending session, the ‘Discovery of Winemaking’. During this session you have the opportunity to blend your own Margaret River red wine with under the watchful eye of our winemaking team. Your personal wine blend will be bottled and presented to you at the end of the day. After concluding the blending session, a seated tutored wine tasting of five Art Series wines, each accompanied by perfectly matched seasonal food, will be awaiting you on the verandah. Your lunch of a la carte main course and dessert will be on offer at the restaurant. Your Ultimate Exploration of Margaret River will conclude with a joint dinner presented to you by the culinary teams from each winery in a collaborative way. This ultimate ‘finale’ will showcase the diversity of the produce of the Margaret River region and the varied philosophies each culinary team exhibits. To accompany this tantalizing extravaganza, selection of wines from Leeuwin Estate, Vasse Felix and Voyager Estate will be on offer. Your private guide will collect you to take you on a coastal journey to experience the raw beauty and nature of the Margaret River Region, walking a section of the Cape-to-Cape track, finishing with breakfast at a beachside café before your private return transfer to Perth.